JOHOR BARU: Gromutual Bhd expects its first high-rise project to benefit immensely from the upcoming integrated transportation hub in Iskandar Malaysia. Executive director Teo Yu Hong said the project's site along Jalan Kempas Lama just a few metres away from Kempas Baru would be its strong selling point. Teo: Gromutual will launch the project either in early or mid-2013. Kempas Baru station in Johor Baru would be developed into an integrated transportation hub in Iskandar Malaysia. To be known as Kempas Sentral, it is expected to be several times bigger than KL Sentral station. Kempas Sentral will have an integrated transportation system encompassing commuter trains interconnected with the rail network at KTM Kempas Baru station, feeder bus and taxi services. “Initially, we wanted to offer studio units but changed it to two-room and three-room apartments as demand for such properties is good in Johor Baru,'' Teo told StarBiz after Gromutual's AGM. Teo said Malaysians were still not used to studio apartment living unlike those in world's big cities such as New York, Paris, London, Tokyo and Singapore. He said the company would launch the project either in early or mid-2013 with an indicative selling price between RM400 and RM450 per sq ft.
Teo said phase one on a 1.41ha site would comprise 21-storey and 26-storey tower blocks with 460 units of two and three-room apartments. The units will have built-up areas of between 800 sq ft and 1,500 sq ft. Phase one, with a gross development value of RM150mil, will take three years to complete. It will be followed by phase two on a 2.02ha site. 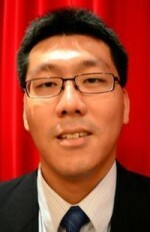 “We are targeting Malaysian professionals working in Singapore and young families as buyers for our project,'' he added. Meanwhile, Teo said Gromutual would look for more land in Malacca for its future residential property projects as prices of land in Malacca was much lower compared with in Johor. He said the company was also seeking land in Kuala Terengganu and Ipoh as these two areas offered long-term growth prospects. For the financial year ended Dec 31, 2011, Gromutual recorded RM21.40mil net profit on RM96mil revenue against RM11.49mil net profit on RM71.70mil revenue in the previous year.